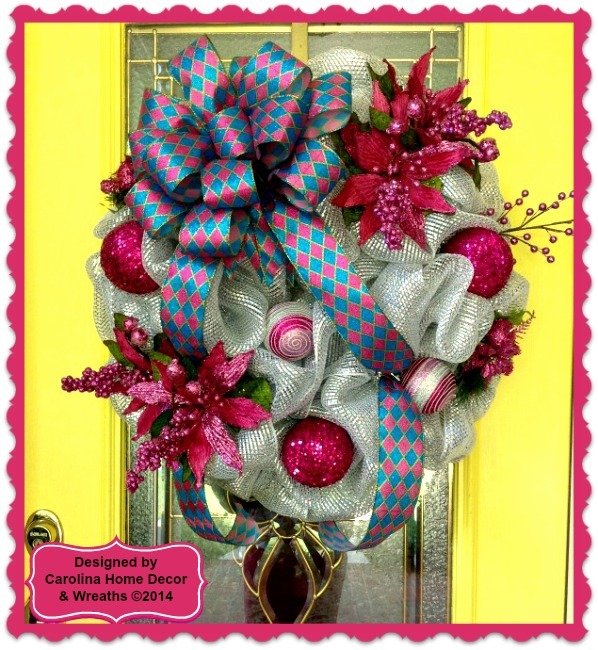 Beautiful 28" Christmas Deco Mesh Wreath in Premium Silver featuring a Large Fuchsia and Turquoise Diamond-Patterned Bow with Tails. Embellishments include Sparkling Fuchsia Poinsettas with Berries, Dazzling Fuchsia Ornaments and Beading. This Wreath is Breathtaking in the Light with all its Colors. Only 1 Available!